PTAS follows through with manufacturing to provide specialist switchboard installation sub-contracts. We operate several fully equipped site installation teams with field and trailer mounted storage and workshop facilities. PTAS site teams are experienced in the requirements of heavy industry, mining, oil & gas and infrastructure workplaces. They maintain a high level of integrity and dedication to our clients. 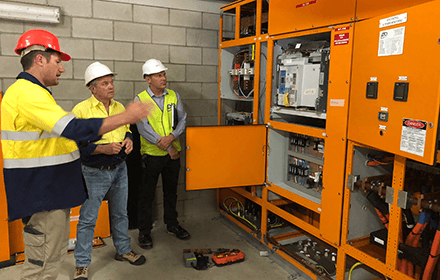 PTAS has also invested in a number of high capacity temporary switchboards that enable mission critical applications to continue through a system upgrade. 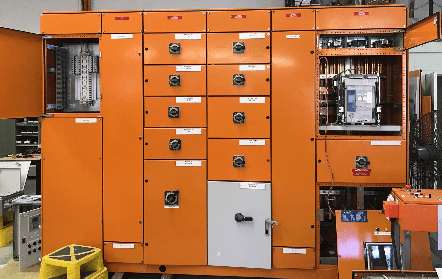 Fully type tested modular switchboards rated at 2,500 Amps capable of operating water treatment plants and mining sites. 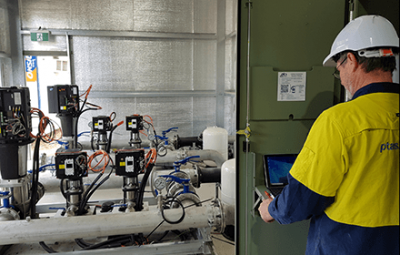 Outdoor rated switchboards designed to operate pumping stations during change-over. PTAS supports its construction team with experienced commissioning technicians who undertake the ‘Site Acceptance Testing’ phase of a project. Beyond this they will be onsite during the change-over to bring the new equipment online. Their expertise also lies in fault-finding and any modification works required by other engineering disciplines on the project. Once systems are fully operational they can conduct further quality assurance activities, such as thermal scanning and load monitoring.